Continued wind/solar/BEV technology-forcing is the best possible outcome for fossil fuel interests in the 21st century. These green technologies cannot reduce fossil fuel consumption at this time when most of the global economy is yet to be built. In addition, technology-forcing has a large divisive influence, hampering the effectiveness of the sustainability movement. Technology-neutral policies internalizing externalities is the only viable method to reduce unabated fossil fuel combustion, while tripling global economic output by 2050. The two previous articles outlined the dangers of current technology-forcing of wind/solar power and battery electric vehicles (BEVs) and discussed the wide range of available alternatives that will flourish under more intelligent technology-neutral policies. Even so, technology-forcing policies have already redirected trillions of dollars against natural market forces, while technology-neutral policies are still struggling to get off the ground. The world has committed over $3 trillion to wind and solar technology-forcing (source). Additional indirect subsidies such as artificially low interest rates, underutilization of dispatchable plants and large transmission buildouts should be of a similar magnitude. This article is a call to all sustainability advocates to work together towards a common goal instead of perpetuating stalemated arguments about preferred technologies (e.g. wind/solar vs. nuclear). Consistent advocacy for technology neutrality combined with strong opposition to any kind of technology-forcing is a much more productive use of the time and initiative of sustainability advocates. This article will strive to clearly justify this statement. If I was the CEO of a fossil fuel company today, I’d be very happy with the current policy landscape. Everyone knows that fossil fuel use must start declining in the medium-term future, but wind/solar/BEV technology-forcing policies will ensure that this inevitable decline is delayed as long as possible. As an example, current BEV technology-forcing policies in the US cover the entire cost of a Chevy Bolt or Tesla Model 3 battery pack. As a result, about 0.1% of passenger cars are now BEVs, displacing about 0.03% of oil consumption. But the very low US gasoline taxes (lack of technology-neutral policies) means that the recent oil price crash caused a large relative reduction in gasoline prices, prompting people to buy large trucks and SUVs and drive more. As a result, US oil consumption has jumped a full 5% since the oil price crash, dwarfing the small reduction from BEV technology-forcing. Indeed, after a single year of pain in a golden decade for oil & gas companies, the fossil fuel profit machine is again leaving clean energy companies behind. 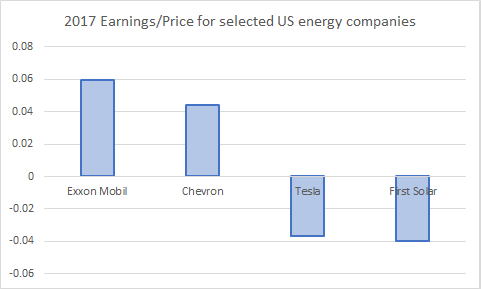 As shown below, the billions in profits from the two largest US oil & gas companies is matched only by the similarly large losses from prominent US clean energy players, both of which have benefited enormously from over a decade of strong technology-forcing policies and very generous capital markets. While green advocates celebrated solar PV’s first 100 GW year, fossil fuels quietly accounted for 70% of energy growth in 2017. Oil and gas both made significant gains, with even much maligned coal registering a significant uptick. 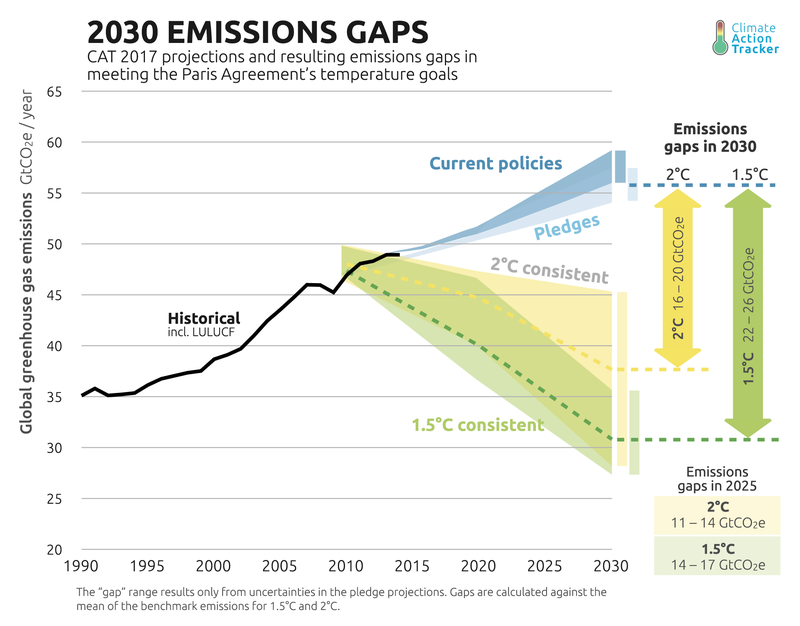 Over the next decade or two, even a full commitment to all clean technology-forcing plans will not stop fossil fuel growth, leading to rapidly widening emissions gaps. Illustration of rapidly growing emission gaps (source). 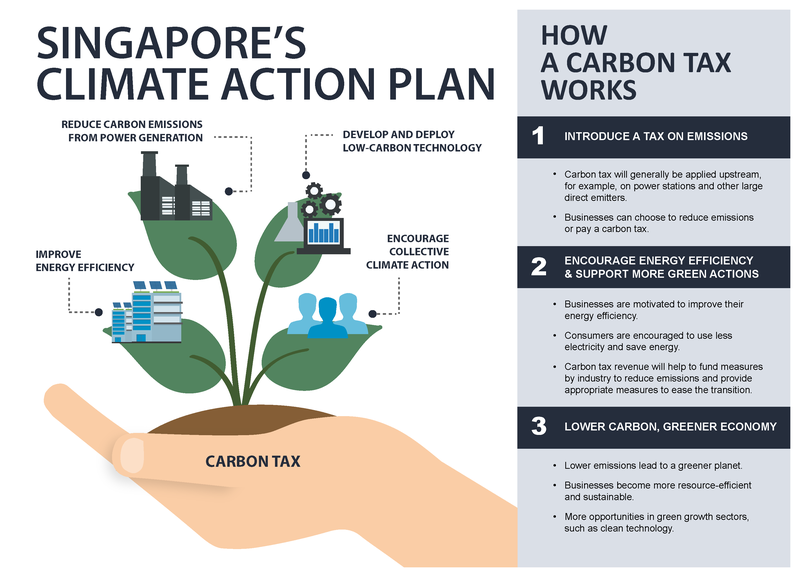 Displacing unabated fossil fuel combustion at the rate recommended by climate science will require the absolute maximum out of every one of the sustainable development pathways discussed in the previous article. And this can only be done through technology-neutral policies. If humans were rational creatures, we would have had technology-neutral policies addressing all major externalized costs long ago. Almost everyone agrees that such policies are the most efficient way to address undesired effects that are not directly accounted for in current price signals. In addition, the scientific literature has already quantified these externalized costs to a sufficient degree of accuracy to initiate meaningful policies. Unfortunately, most sustainability advocates are totally distracted by the emotionally charged wind/solar power and BEV growth story. They spend a lot of time and effort tracking every new deployment, building 100% renewable energy scenarios, and arguing how much better these technologies are than dirty fossil fuels or dangerous and expensive nuclear. In other words, an enormous amount of effort and initiative is being invested in promoting one sustainability pathway over all others. 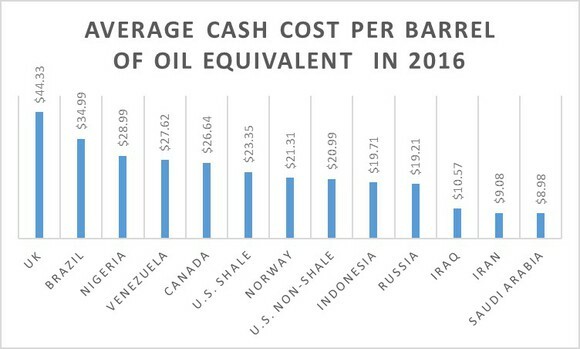 As outlined in the previous section, fossil fuel interests simply need to sit back and allow these sustainability advocates to do their work for them. 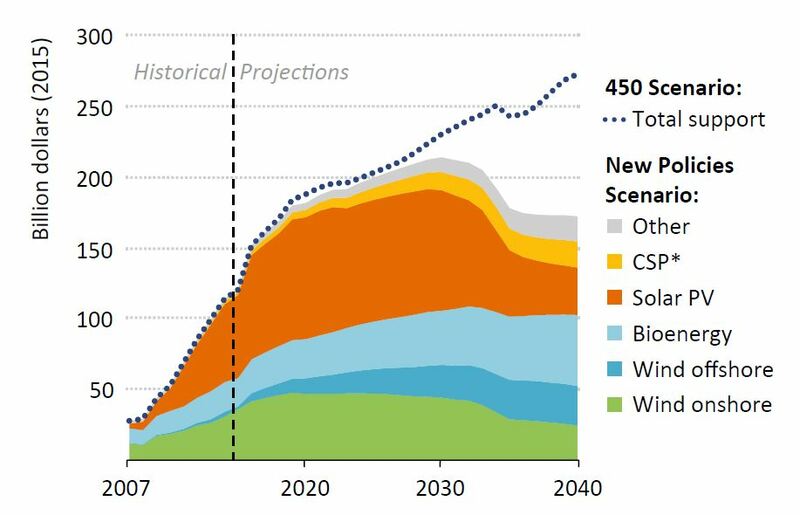 Since the rate and extent of wind/solar/BEV growth is fundamentally limited and the majority of the global economy is yet to be built, these trends offer no material threat. Technology-neutral policy and the wide range of sustainable development trends it will unleash is the only thing that can halt and reverse global fossil fuel growth, but sustainability advocates are too distracted by wind/solar/BEV developments to recognize this key truth. Clean energy technologies evoke a surprisingly large amount of emotion. Anyone who has spent some time on energy and climate discussion forums will know how emotional the debate can become. Predictably, the most common outcome of such debates is that both parties just become even more entrenched in their beliefs. Wind/solar power and BEVs are capable of inducing an especially strong emotional response. The ideological attractiveness of a world powered entirely by sun and wind combined with the promise that rapid cost reductions will soon overthrow the dirty fossil fuel establishment has gathered a broad global fan-base. Nuclear energy also has a passionate following, with other technologies like biofuels and the hydrogen economy enjoying notable support. This formation of distinct and opposing technology-forcing camps within the sustainability movement (wind/solar vs. nuclear being the most prominent example) is the best possible outcome for fossil fuel interests. In any conflict, getting your opposition to fight among themselves is the easiest road to victory. Unfortunately, this is what is happening at the moment. So there it is: fossil fuels are invincible without technology-neutral policies, but the current commitment to wind/solar/BEV technology forcing will delay the onset of such policies for as long as possible. As clearly illustrated in earlier articles, continued evolutionary improvement in wind, solar and battery technology is not going to achieve some magical tipping point beyond which fossil fuels will be unceremoniously swept aside by market forces. Seven years of stagnant clean energy investment (source). These technologies face various fundamental headwinds that will increase with deployment at least as quickly as costs come down. 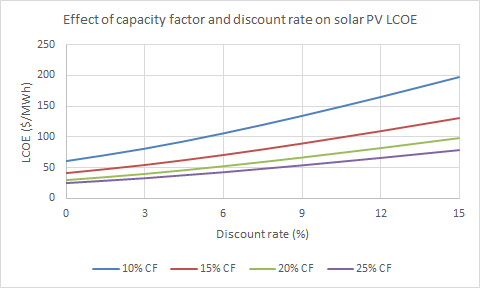 This is especially true in the developing world where discount rates are high, making strategies with high up-front costs and low capacity utilization economically uncompetitive. 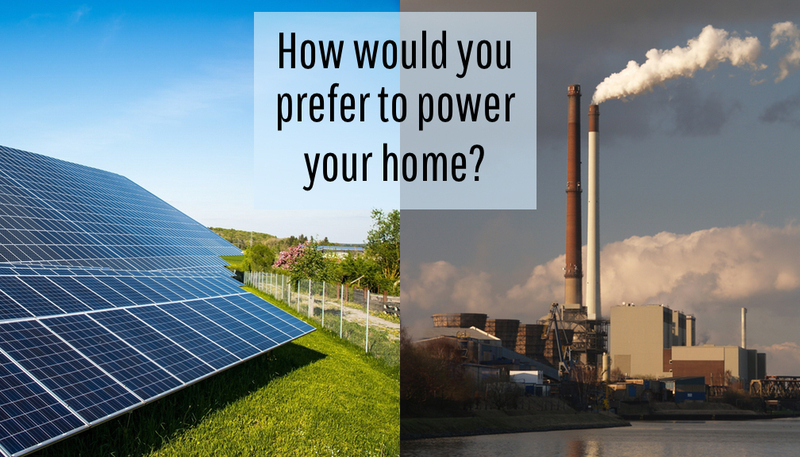 In addition, there is a distinct possibility that green technology-forcing can do more harm than good. Technology-forcing is inherently economically inefficient and, in the developing world, economic inefficiency slows the rate of improvement in quality and quantity of life, climate change resilience, and the productivity required to pull off a rapid future decarbonization effort. 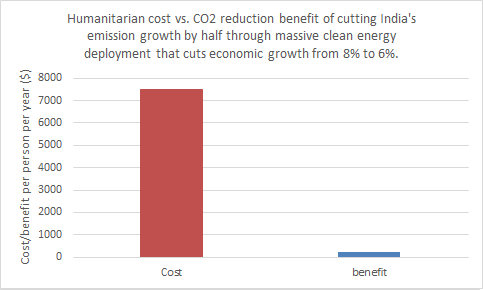 In short, economic inefficiency costs many more lives than coal power plants or internal combustion engines. It is therefore crucial that we change the clean energy and climate discussion from an argument about which technology is best to consistent advocacy for the most efficient solution: technology-neutral policies. Not only does technology-forcing of certain ideologically attractive technologies have no chance of toppling fossil fuels, but it may even be more harmful than doing nothing. Technology neutrality, on the other hand, has been proven to work. As a simple example, Europe imposes much higher energy taxes than the US, mostly to improve energy security and to minimize pollution and congestion. 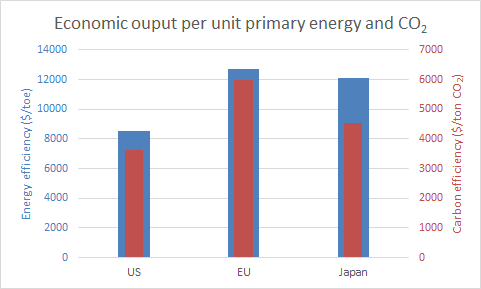 As a result, the EU produces an enormous 50% more GDP (PPP) per unit primary energy consumed and an even greater 65% more GDP per unit CO2 emitted than the US. Despite its relatively low energy consumption, the EU achieves significantly higher life expectancy and similar life satisfaction to the US. Data sources for GDP and energy/CO2. In closing, I want to repeat: This article is a call to all sustainability advocates to work together towards a common goal instead of perpetuating stalemated arguments about preferred technologies (e.g. wind/solar vs. nuclear). Consistent advocacy for technology neutrality combined with strong opposition to any kind of technology-forcing is a much more productive use of the time and initiative of sustainability advocates. Continuing on the current path will surely allow clean energy to win several battles to great fanfare from wind, solar and BEV advocates, but ultimately fossil fuels will win the war. We really need to open our eyes to the bigger picture. And we need to do so very soon.